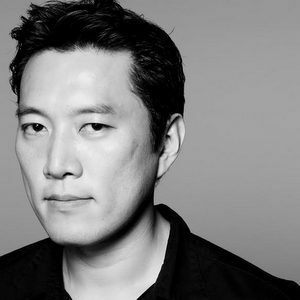 In Seoul’s Itaewon district, Colin talks with architect Minsuk Cho, principal at Mass Studies, designer of the Golden Lion-winning Korean pavilion at the Venice Architecture Biennale 2014. They discuss whether he talks about the use of space differently in English than in Korean; how copying, and especially while misinterpreting across cultural boundaries, counts as a way of creating; his earliest memories of Seoul’s “building explosion” that grew the city tenfold over fifty years; the difference between current Seoul and the Seoul of his childhood; the “concrete utopia” in which he grew up, and how quickly it went away when the branded “high-density gated community” high-rises that now characterize the city rose; the book that set him on the path to architecture (even as his architect father didn’t push him into the profession); the “toilet paper” life expectancy of Korean buildings; how he has reacted to the “bigger, higher, cheaper, faster” building ethos of Seoul; the “blessing” of so much building right up against so much nature; when Korea’s dictatorship didn’t want people to gather, and what effect that had on the built environment; his experience riding a Yellow Cab from LAX to Palm Springs; how Seoul passed through its “juvenile teenager phase,” and what mistakes it made that compare to Los Angeles’ onetime avoidance of density; the village fetish that has recently developed; what he felt in New York that made him cartwheel in the streets; why the flatness of Rotterdam bothered him when he worked for Rem Koolhaas; how Korea became, for him, a more appealing place to build things; Mass Studies’ Pixel House in the recently developed city of Paju and the island of Jeju; the beginning of a reverse migration out of Seoul; Itaewon’s varying role in the city as “a center that is also a void”; the importance of architecturally uniting North and South Korea in Mass Studies’ Venice Biennale pavilion; and what he thinks of the prospects of actually reuniting, for architecture or otherwise. This was written by Colin Marshall. Posted on Monday, March 9, 2015, at 7:30 am. Filed under Korea, Notebook on Cities and Culture, Seoul. Bookmark the permalink. Follow comments here with the RSS feed. Comments are closed, but you can leave a trackback.